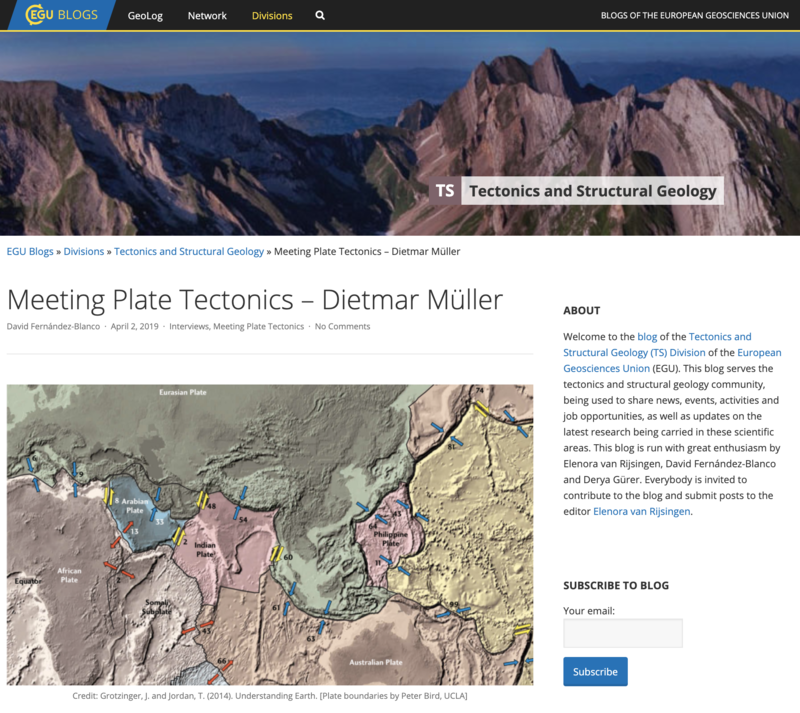 David Fernández-Blanco interviewed Dietmar Müller for the EGU Tectonics and Structural Geology Blog, as part of a series of interviews portraying scientists who have contributed to developing and applying plate tectonic theory over the last 50 years. So far, this set of interviews includes Dan McKenzie, Xavier Le Pichon, Mathilde Cannat, Richard Gordon, Peter Molnar, David Bercovici, Roland Bürgmann, Walter Roest, Roger Buck, Anne Davaiile, and Cesar Ranero. 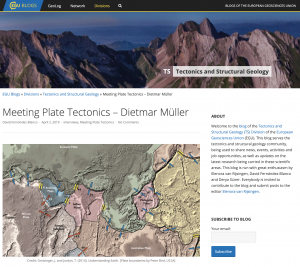 The idea for the interviews was conceived at the “50 Years of Plate Tectonics: Then, Now and Beyond” meeting at the ENS, Paris in June 2018.